Louisville Switching has once again been named as a Kalmar Ottawa Premier Partner Dealer. We were first named a Premier Partner Dealer in 2014 and have been recognized as such 3 times out of the last 4 years. 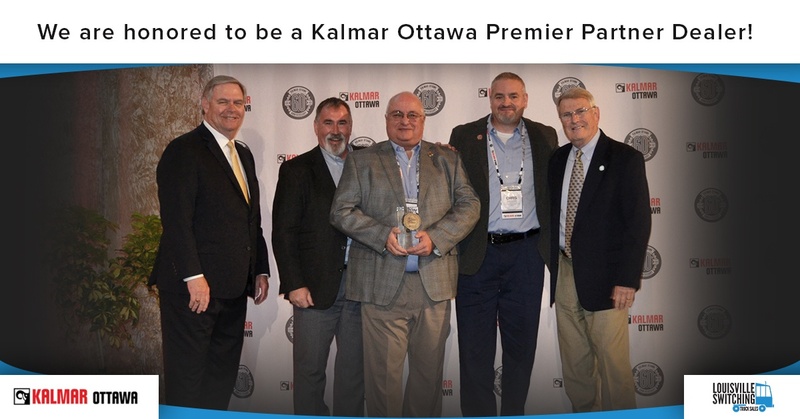 We are incredibly humbled to be recognized as a Premier Partner dealer along with a few of our peers and are proud to be a part of the larger Kalmar Ottawa family! They continuously lead the industry to new heights and have recently announced a fully electric Kalmar Ottawa terminal tractor.